At Peake’s we are always on the cutting edge of Technology: it’s in our name! In Trinidad and Tobago, with ongoing construction and high concentrations of dust particles in the air (especially during the dry season), it’s no surprise to see an increase in respiratory related illnesses in the country. 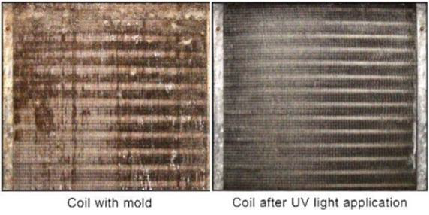 While our units, once properly serviced and maintained, are always working for you, we would like to introduce to you Fresh-Aire UV, a light that purifies air before it comes out your AC! Fresh-Aire UV, an award winning system out of Florida, can now be incorporated into your home and office systems. 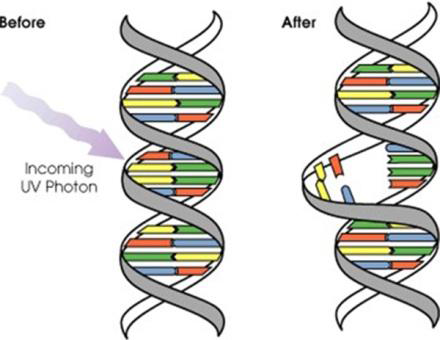 The science behind the concept is very simple: UV lights of a certain strength and brightness (don’t worry, they’re built into the units so it’s not going to bother you!) disrupts the DNA of micro-organisms that live and float in the air that you breathe in on a daily basis. UV light is actually used in hospitals and laboratories around the world to sanitize both instruments and work surfaces to obliterate infectious airborne diseases. 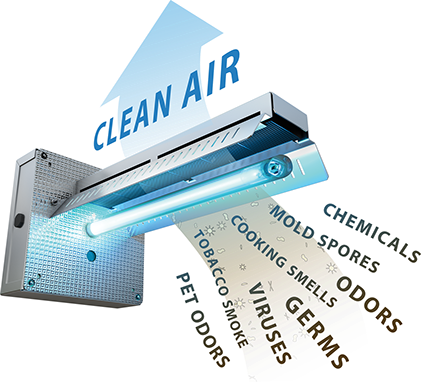 In terms of your home or office units, Fresh-Aire UV kills up to 99% of airborne mould, bacteria, viruses and allergens... and it starts making a difference in 24 hours. In addition to making sure the air that you and your family breathes is the purest possible, it also eliminates unpleasant odors as well as extending the already long life of your Peake’s system. 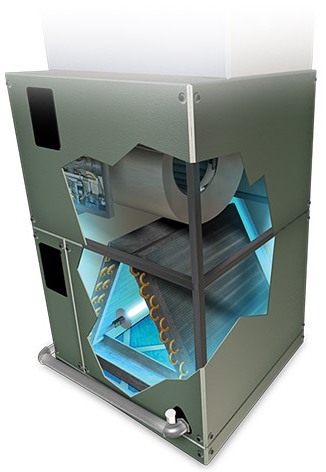 Fittingly, of course, the Fresh-Aire UV system can be incorporated into any central air system, so as the air cycles repeatedly through your unit, all microbes and other infectious bacteria are easily dealt with. This means cleaner air for you and your family to breathe. At the heart of the system is a matrix of titanium dioxide infused carbon cells. Odor causing compounds are captured in the matrix and converted to harmless carbon dioxide and water vapor which is released back into the air. This causes the carbon cells to regenerate making the system self cleaning and virtually maintenance free!